The Porta Brace SP-1BBAT SP-1BAT Battery Sack Pack (Midnight Black) is specifically designed for external battery packs approximately 14" long. It is made from a double layer of 1000 denier Cordura nylon with a Slip-not exterior bottom and a foam padded interior bottom. 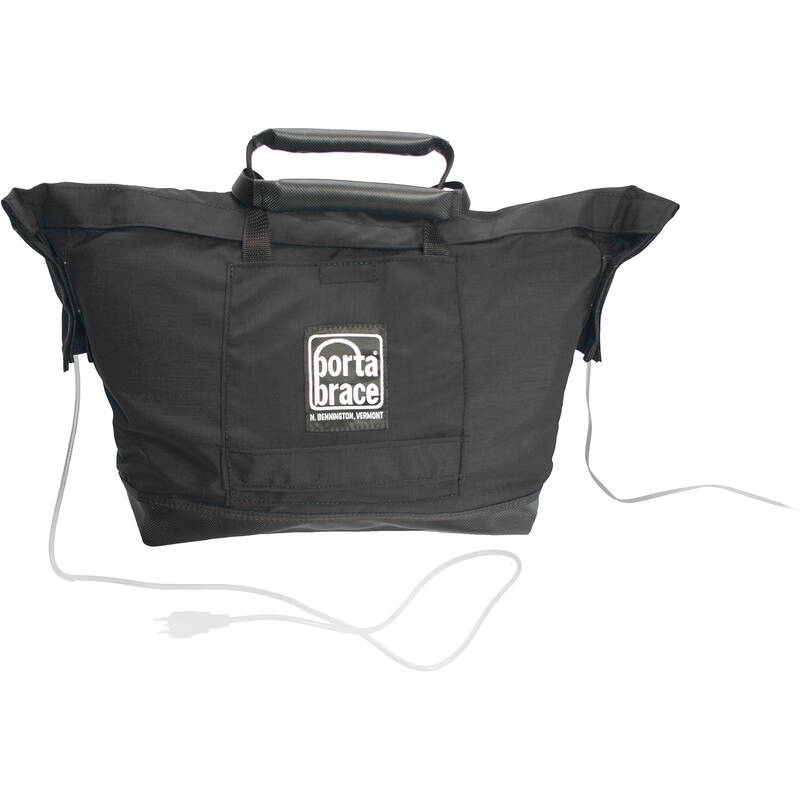 The sack has a touch fastener flap that covers the opening to keep dust and water from entering the case while still enabling cords to run out of the top. A cinching cord around the top edge provides tight, secure handling. It can be carried by 2 tote-style carrying handles with suede leather-covered grips. Box Dimensions (LxWxH) 16.2 x 13.7 x 3.5"